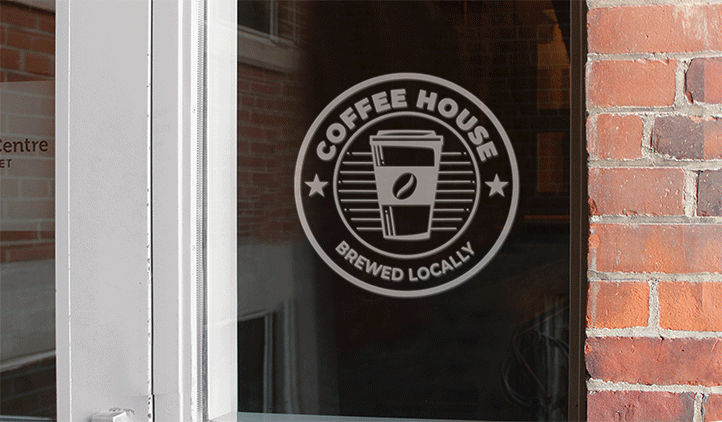 Create customizable frosted vinyl window graphics for indoor or street-facing spaces. Custom frosted glass decals can be made in any size or shape, with any logo or design. 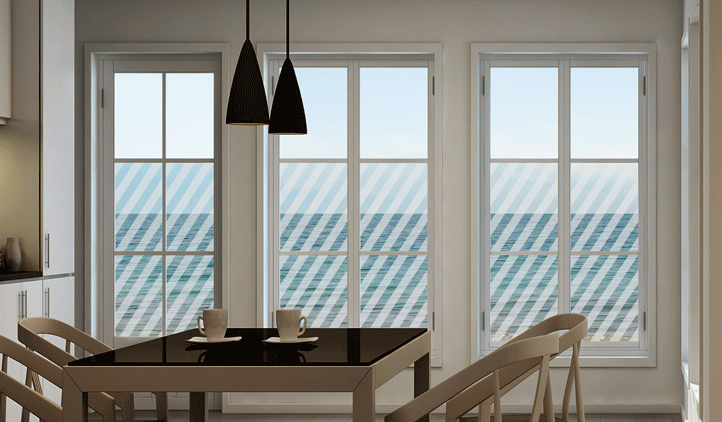 Upgrade your glass or mirror surfaces with custom frosted vinyl window graphics today. StickerYou’s frosted vinyl window graphics can add a professional aesthetic to office spaces or street-facing businesses and services while also elevating your branding. For an added pop of sophisticated signage create a stunningly simple vinyl graphic of your logo on our new frosted vinyl material. 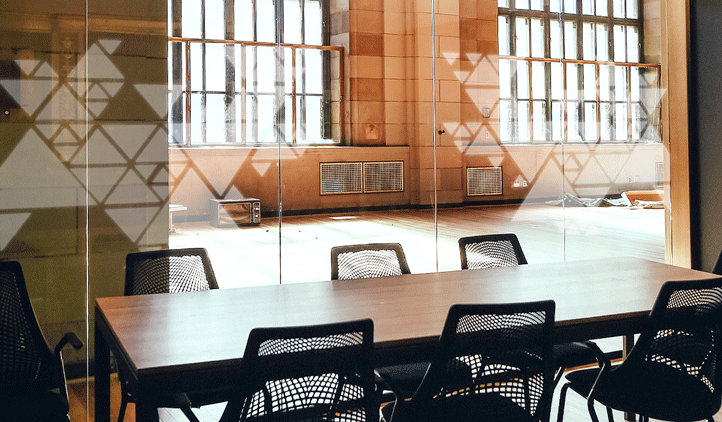 For additional privacy for glass-walled offices or meeting rooms, create full frosted vinyl panels with your logo or design cut from the negative space. For the perfect frosted finishing touch fill out your custom order below. Frosted vinyl window graphics are a unique way to advertise or promote on glass and mirrored surfaces. Our frosted vinyl window graphics use an adhesive vinyl that looks and feels similar to glass that’s been frosted, but is easier to customize and far more economical. Our vinyl transfers are weeded and masked for easy application. Simply place the adhesive side face-down on your surface, squeegee out any air bubbles, and remove the backing. Out frosted vinyl is also waterproof and weather resistant, so it’s the perfect for decorating windows or unique promotional signage for cars, trucks, or vans. For dazzling signage that’s totally customizable and easy to apply the clear choice is frosted vinyl window graphics courtesy of StickerYou.